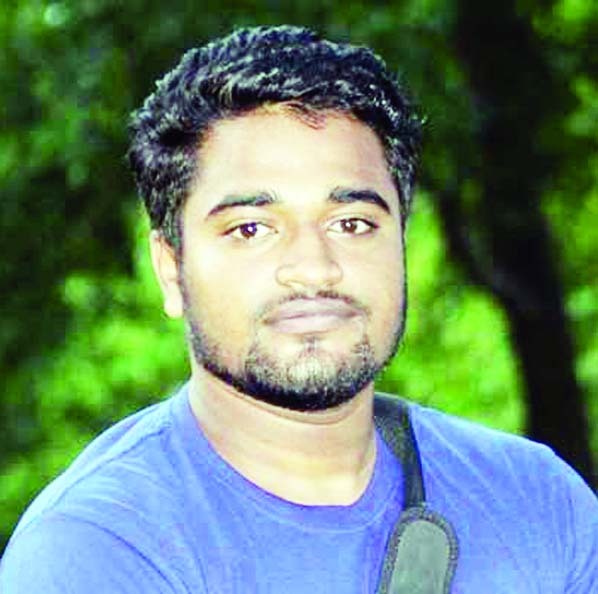 Several students of Dhaka University stage demonstration on the campus, demanding re-election to DUCSU on Monday. 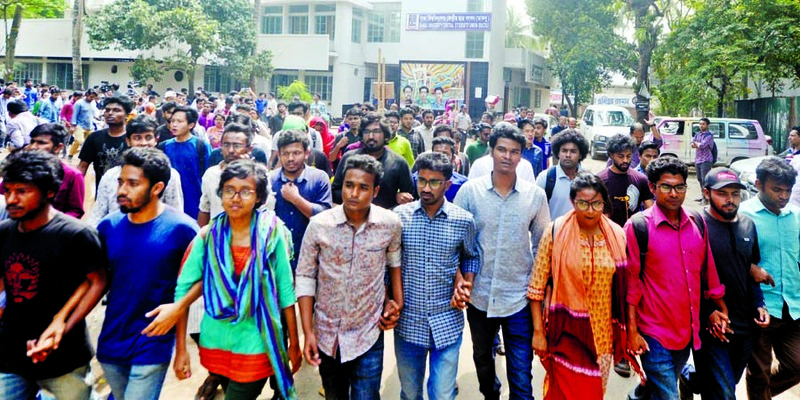 The protesters sat in front of the Vice-Chancellor's office around noon yesterday demanding the re-election of the Dhaka University Central Students Union (DUCSU). 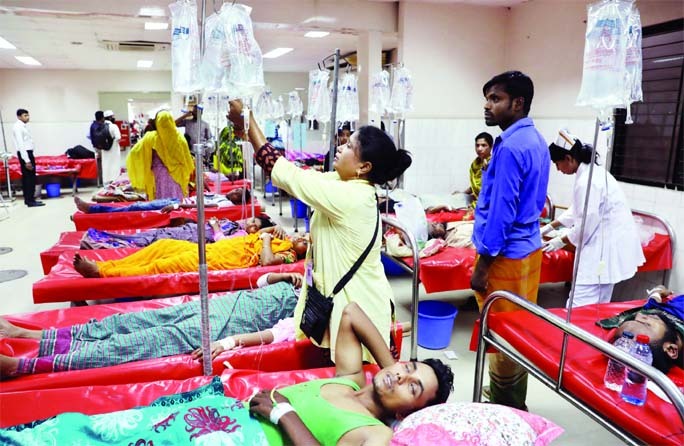 Top leaders of the protesters' group newly elected VP Nurul Haque Nur and Liton Nandi were absent in the Monday's programme on account of illness. Five panels' candidates and students started this program. Before that, the protesters gathered at the foot of anti-terrorist Raju Memorial Sculpture at around 11pm. The students who were on hunger strike said in the meeting, Vice-Chancellor said that there were more irregularities in the past DUCSU election. The clash and murder also took place. The irregularities of these elections were taken to be 'Normal'. The seven students who were on hunger strike broke the strike on Friday night at 11.34 p.m as Vice Chancellor Prof. Dr. Akhtaruzzaman promised that he would look into this matter to find a solution through negotiations. Among them, Tauhid Tanzim, Shoaib Mahmud, Rafia Tamanna and Rabiul Islam were present. After nearly an hour of meeting, Shoaib Mahmud told reporters, "Vice-Chancellor has been informed about voting irregularities, in the election. Vice-Chancellor said documents will be supplied to the investigation committee to investigate various accusations." Shoaib said that during the discussion of these irregularities, Vice-Chancellor said, "There were many irregularities in the previous elections. Comparing to those these are 'normal'. The election has been fair enough." Moin Uddin said, "We are not satisfied with this meeting. Since we have been demanding investigation into the irregularities, we will wait for a while. If they do not publish the results of quick investigations, we will join the ongoing movement." "When we went to the VC, he told us to submit a written complaint. I had submitted a written complaint before the Election Commission. I have also submitted many written complaints after the election. But this shameless VC has not taken any step. We have taken up positions here. This VC is bound to accept our demands," said Arani Semonti Khan, Swatontro Jote candidate for the DUCSU VP post. "This election was fully orchestrated. Although we repeatedly asked for the media to be allowed into polling centres, it was not done. We were prohibited from entering the polling stations with mobile phones. 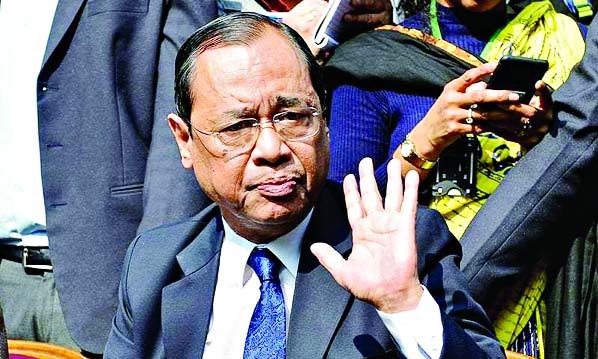 Now they are asking for evidence of fraud and they have closed their doors before it could be collected," said Shwadhikar Swatantro Jote candidate for the GS post ARM Asifur Rahman.